Speaker Type | Driver Size: Passive Full-Range / 2 x 15"
Passive Full-Range / 2 x 15" Passive Subwoofer / 18"
Passive Subwoofer / 2 x 18"
The single D.A.S. 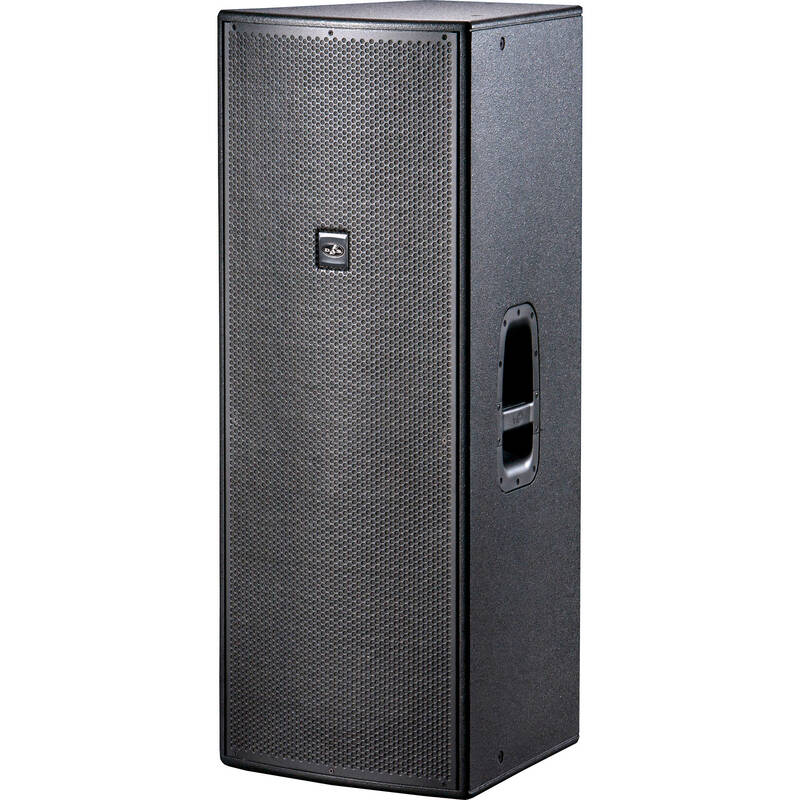 Action 215 is a passive, full-range, two-way loudspeaker designed for professional live sound reinforcement applications. The speaker offers a power handling of up to 2800W peak, which drives the dual 15" woofers and 1" compression driver that combine to provide frequency response of 47 Hz to 20 kHz and a peak SPL output of 134 dB. The trapezoidal enclosure is made from birch plywood and finished with a ISO-flex paint, capable of withstanding the rigors of on-the-road wear and tear. Two bar handles are offered for ease in transport, while the steel grille provides ample protection to the loudspeaker's drivers. The rear panel features two NL4 speakON connectors for daisy-chaining multiple speakers, while rigging points provide a safe and simple way to fly the loudspeaker for permanent installations.